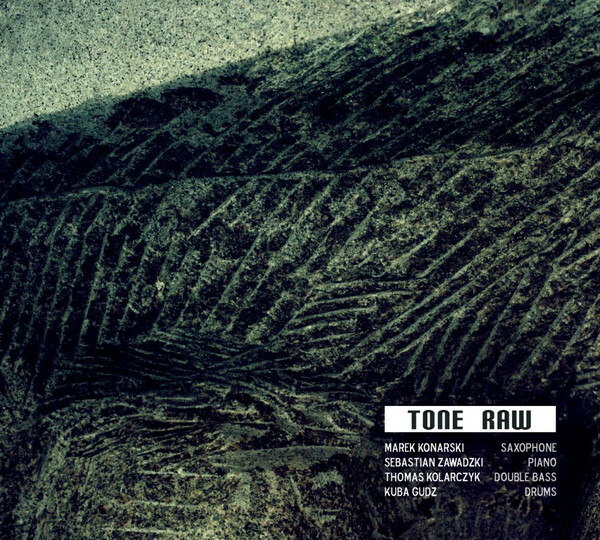 „This is a phenomenal debut album by a young (very young) Polish Jazz quartet Tone Raw, which consists of saxophonist Marek Konarski, pianist Sebastian Zawadzki, bassist Thomas Kolarczyk and drummer Kuba Gudz. All four are music students, two of them in Berlin and two others in Odense, Denmark (where many Polish young musicians set out to study Jazz at the local Academy of Music). The album consists of nine tracks, five of which were composed by the pianist, one each by the saxophonist and the drummer, one by a fellow Danish student and one by the godfather of Polish Jazz Krzysztof Komeda, which is performed solo by the pianist. The album was recorded at the Studio Tokarnia and engineered by Jan Smoczynski, with the usual spectacular sonic result. The overall effect of the album is typical European Jazz aesthetics, which not only refuses to be forgotten, but keeps pushing the envelope of the genre further and further away from its 20th Century sources, traditions and limitations. These youngsters understand subconsciously that Jazz, Classical Music and Folklore are simply different manifestations of the same Cultural asset, a resource, which one can explore at will, guided only by one’s intrinsic sense of beauty, intelligence and above all talent. And there is certainly a lot of talent on this album.